Danese was originally called Noel; the present name is after the daughter of a settler. ^ Kenny, Hamill (1945). West Virginia Place Names: Their Origin and Meaning, Including the Nomenclature of the Streams and Mountains. 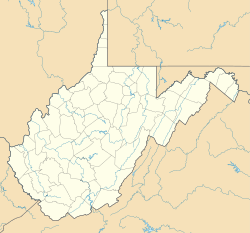 Piedmont, WV: The Place Name Press. p. 199. This page was last edited on 2 August 2018, at 05:32 (UTC).